« Sour Cherry & Macadamia Cake – plus 15 of my favourite cherry recipes! I’m not a big fan of single use tools. The drawers are pretty much full of multi-purpose bits and pieces already so whenever I come across a great way to make a task easier by simply using items already around the house I’m all for it. 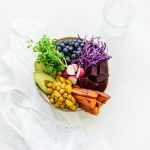 I originally saw this method over at Food 52 – and immediately filed it away, memories of red and purple stained fingernails from months earlier still spectacularly clear in my mind. I may have let these cherries languish a bit too long in the fridge before attacking them but as they were destined for the freezer anyway only the photos suffered – ha! So put the knife away, find a small mouthed bottle and a chopstick and lets get moving. Before you know it you’ll have enough pitted cherries to make every single one of these 15 cherry recipes! Don’t miss the full infographic below with all the steps. HOT TIP: I found doing this so the pit comes out via the stem end made less of a mess but try it any direction you wish. While I used an old maple syrup bottle a beer or soda bottle would be perfect too. I’ve not been able to pit morellos this way as they are too small for any of the bottles I own but standard cherries work a treat. HOT TIP: Make sure to hold on to the cherry or it may run away. I find that turning the chopstick slightly as you press it through aids in not squirting juice everywhere! HOT TIP: Did you know cherries freeze beautifully? Take advantage of the peak of the season to stock up and have cherries all year long. Simply place pitted cherries in a single layer on a baking [parchment] lined baking sheet and put them in the freezer – this lets them freeze individually instead of in a huge lump. Once frozen, move to a zip top bag and store in the freezer until needed. There is every possibility that I eat them directly from the freezer but they’d be perfect for smoothies or any of these 15 fabulous cherry recipes! 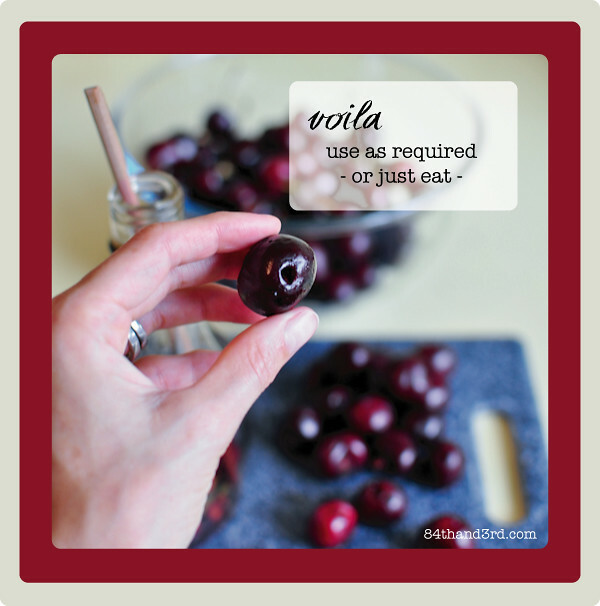 Do you have any easy tips or great cherry recipes to share? I’d love to hear them! This is genius!! I think you’ve changed my life. Every time I make a cherry recipe I wish I had a cherry pitter, but can never bring myself to spend the money on a single use utensil! No way! JJ where were you and your tip last year? This is brilliant! 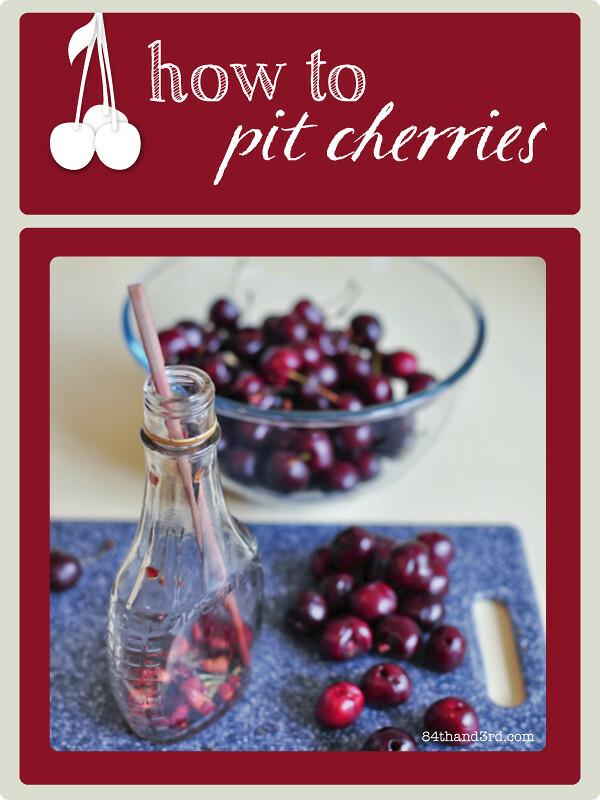 I had cherry juice absolutely everywhere when I was cooking with them at the end of last year. So simple and easy. Hopefully it will help for the next batch! Great hint. I’d forgotten about that. Absolutely brilliant JJ. Thanks for that. I resorted to squashing the pits out of the last batch of cherries I had for lack of a pitter. My kitchen and my clothes thank you. Glad to help, I used to do the slice/twist/dig method, it made a mess! Thanks for the method tip. I use a different one, so I am eager to compare. My grandma taught me this one. Unfold a paper clip leaving just one u shape, it becomes a sort of hook. Push in and then pull out, it “hooks” the pit and pulls it out. I can do it fast – it’s all one quick motion, but my fingers definitely get red stained. 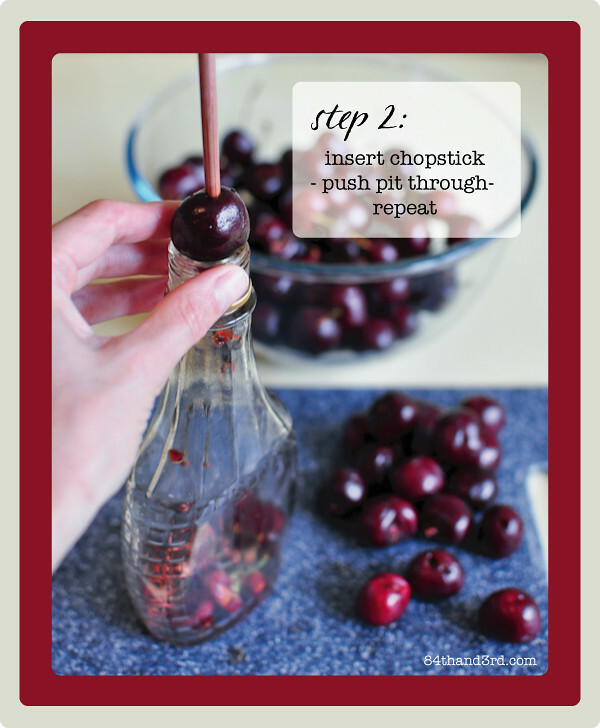 I’m definitely giving your method a try next cherry picking season! oooh haven’t heard that one, will have to try with the morellos as they are too small for this method. Thanks for sharing! What a great technique! I have to admit that I do have a cherry piiter, but it works on olives too so I feel its not quite a single use tool. 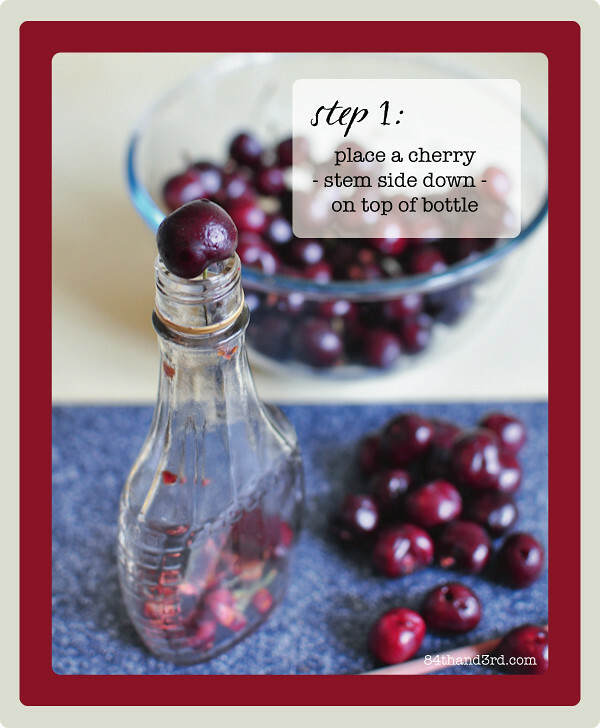 I loved your last post with all of the cherry recipes. I am definitely going to try the ice cream! Perfect job for my kids! Thanks, JJ! OMG that’s the best trick ever!